Do you have a plan for getting around Downtown Austin during this year’s SXSW? Bike, scooter, or walking will be your best bet. 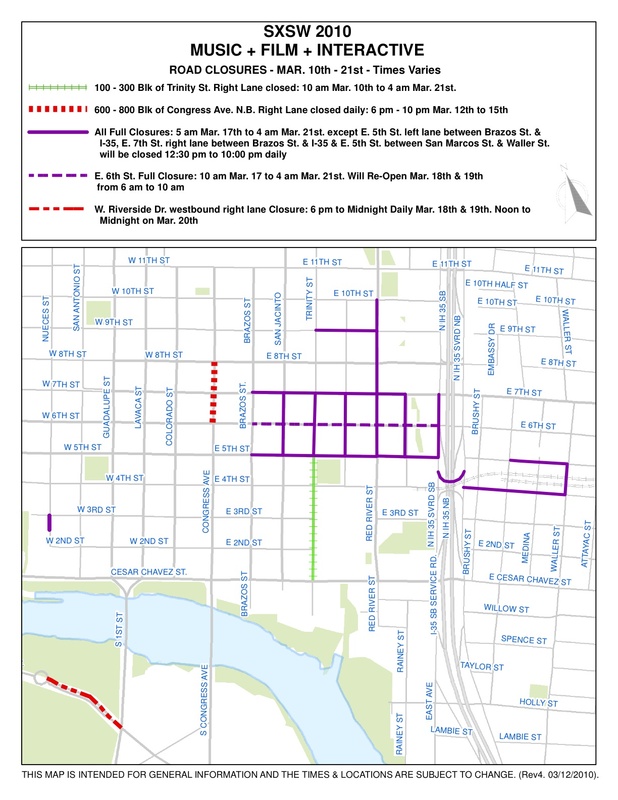 But, if you have to get to/fro by car, attached are two nice maps of street closures for you to be aware of. Click the thumbnails below for a full size image.